Fossil leaves from Africa have resolved a prehistoric climate puzzle — and also confirm the link between carbon dioxide in the atmosphere and global warming. The new analyses confirm research about modern climate — that global temperatures rise and fall with increases and decreases in carbon dioxide in our atmosphere — but in this case even in prehistoric times, according to the SMU-led international research team. Carbon dioxide, is a gas that is normally present in the Earth’s atmosphere, even millions of years ago. It’s dubbed a greenhouse gas because greater concentrations cause the overall temperature of Earth’s atmosphere to rise, as happens in a greenhouse with lots of sunlight. “The more we understand about the relationship between atmospheric carbon dioxide concentrations and global temperature in the past, the more we can plan for changes ahead,” said Tesfamichael, an SMU postdoctoral fellow in Earth Sciences. Co-authors from SMU’s Roy M. Huffington Department of Earth Sciences are professors Bonnie Jacobs, an expert in paleobotany and paleoclimate, and Neil Tabor, an expert in sedimentology and sedimentary geochemistry. “Finding two sites with great preservation in the same geographic region from two important time intervals was very fortunate, as this enabled us to address the question we had about the relationship between atmospheric carbon dioxide concentration and global temperatures,” he said. Scientists know that variations in the concentration of atmospheric carbon dioxide affect carbon fixation in leaves during photosynthesis. This causes leaves to develop anatomical and physiological changes such as the frequency and size of stomata — the pores on the surface of a leaf through which carbon passes. 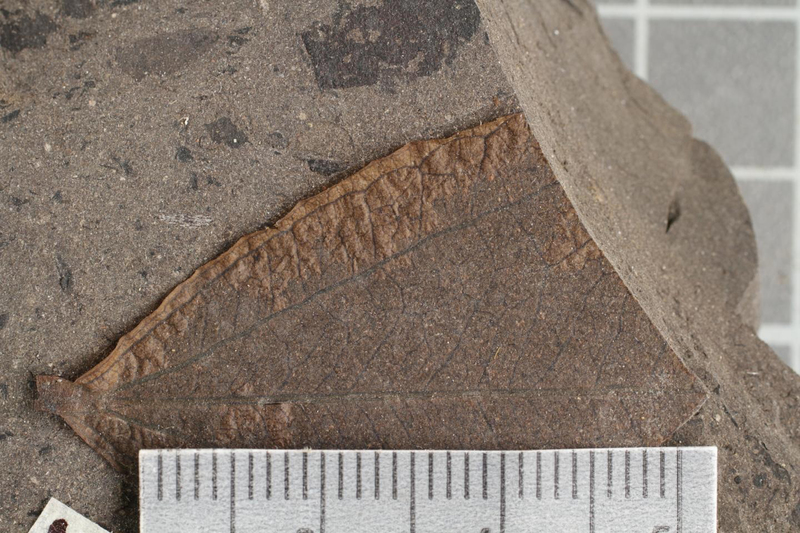 Scientists can measure those attributes, among others, in fossil leaves, so that leaf fossils can be used as proxies for Earth’s atmospheric carbon dioxide history. For the SMU analyses, fossil leaves of a single species were collected from the 27 million-year-old late Oligocene site. The leaves had been deposited during prehistoric times in the area of Chilga in northwest Ethiopia most likely at a river bank. The Earth’s climate during the late Oligocene may have been somewhat warmer than today, although glaciers were forming on Antarctica. The SMU study found carbon dioxide levels, on average, around 390 parts per million, about what it is on Earth today. While carbon dioxide isn’t the only factor affecting Earth’s climate or global mean temperature, it is widely considered by scientists among the most significant. Much is known about climate change and global warming, but questions still remain. “The amount of temperature change during this interval is approximately within the range of the temperature change that is estimated from climate models for our next century given a doubling of carbon dioxide concentration since the industrial revolution,” Jacobs said. “We have a good test-case scenario with these well-preserved plants from both time slices, where we know one time slice, with higher levels of carbon dioxide, was a warmer climate globally than the other,” Tesfamichael said.